During Christmas break 2010 we have had small family reunion at Bavaro beach in Dominican Republic. Weather was great, food was great (but too much), beach and pools were amazing, by the end of 10 days kids were completely exhausted but recovered quickly on their way back. 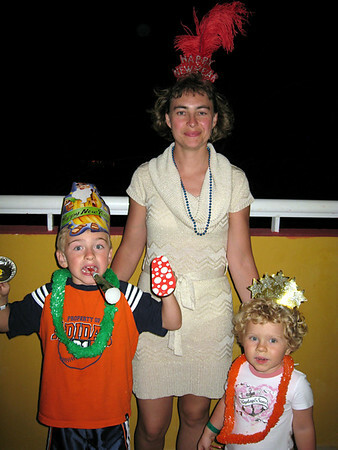 Picture shows Tanya with kids after New Year party at our balcony at Tropical Princess. More photos are in Punta Cana gallery.